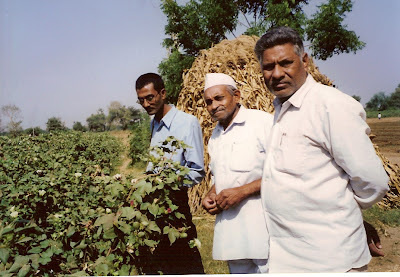 Nareshbhai Patel didn’t have a clue that he was growing genetically modified (GM) Bt cotton seeds in his farm. “The shop keeper suggested that I try this new seed variety called Navbharat 151. It was only later that I heard about the seeds on the TV when the news broke that the government was threatening to burn the fields where Navbharat 151 seeds were sown,” says this farmer from Vadodara Lath village in Gandhinagar district. The government of India’s Genetic Engineering Approval Committee (GEAC) had no clue either. Navbharat 151 has been sold illegally in parts of Gujarat, Andhra Pradesh and Maharashtra for the past three years. The GEAC was caught with its pants down when the Maharashtra Hybrid Seeds Company (MAHYCO), which has applied for a licence to market Bt cotton seeds in India, complained that Navbharat was illegally selling GM seeds. Bt stands for Bacillus thuringiensis, a soil bacterium that has been used as a pesticide to protect crops against three pests: tobacco budworm, cotton bollworm and pink bollworm. Bt is not effective against a number of other pests like boll weevil or white fly. Genetic scientists spliced a protein from Bt into cotton, creating a new seed called Bt cotton. This protein is selectively toxic to certain insects. The genetically modified Bt seed was created to provide cotton plants with built-in protection against pests without using synthetic pesticides. Bt seeds are also called transgenic seeds because an alien gene has been introduced into a naturally occurring seed variety. Besides cotton, Bt has also been introduced into other crops like corn, cotton and potato. Its failure to monitor the sale of GM seeds may cost hundreds of farmers dear, if it intends to carry out its threat. The Gujarat government, unwilling to pay compensation or antagonise the state’s farmers, has assured farmers that their fields will not be torched. Moreover, most farmers have already harvested the crop and are now clearing the fields for the Rabi potato crop. The Navbharat fiasco could be considered a landmark case on several fronts. Most importantly because it has highlighted the gaps in government regulation of this new technology. However, in the rush to point fingers and nail a culprit, the larger questions about whether India needs GM seeds and its long-term implications on Indian agriculture, have been obscured. Farmers seem relieved to have found a new seed that will rid their crop of the dreaded bollworm. Gujarat’s kharif season saw the worst pest attack in recent times. While the hybrid cotton crop was damaged, the Bt fields flourished. “The yield is 50 per cent more with Navbharat 151. Although I sprayed for pests other than the bollworm, I still saved around Rs. 5,000 per acre on pesticide,” said Karamsibhai Ladabhai Patel from Vadodara Lath village, who tried out the new seeds on an acre of his land. But the farmer’s excitement may be short-lived. Explaining the dangers associated with Bt cotton, Dr Ramesh Agarwal, a genetic expert at the Centre for Cellular and Molecular Biology, Hyderabad, says, “Initially farmers may be happy with the new technology. But long term concerns about pest resistance, cross pollination and toxicity also need to be considered.” Pests have developed resistance to the Bt cotton crop in countries where the seeds were used. In such a situation, even pesticides may not prove effective. Then, an even hardier pest will harass cotton farmers, resulting in higher costs and lower yields. The second danger, Dr Agarwal points out, is that the alien gene inserted in the Bt cotton seed may be transmitted to other crop plants, endangering other plant varieties. At present, India has more than 200 cotton varieties. Thirdly, the effect of the genetic marker used to insert the alien gene in the seed is not known. If the marker is not removed, it could prove harmful. Dr Agarwal also cautions that the toxin produced to kill the bollworm could enter the food chain. There is a possibility that the Bt cotton toxin could enter the food chain through cotton oil and through the oil cakes that are fed to cattle. While the effect of the toxin is still unknown, the dangers would be more widespread than those associated with chemical insecticides, which affect the health of the immediate user. Dr C.D. Mayee, director of the Central Institute of Cotton Research (CICR) in Nagpur, which is conducting trials of MAHYCO’s Bollgard brand of Bt cotton, says the trials have shown that Bt seeds have no environmental impact. When asked about pest resistance, he admits, “It is likely that pest resistance may develop when the seed is used on a large scale. But it is up to scientists to develop a counter-strategy.” Bollgard is the brand name for the Bt cotton seed developed and patented by the multinational seed company Monsanto. The seed giant has a 26 per cent stake in MAHYCO. 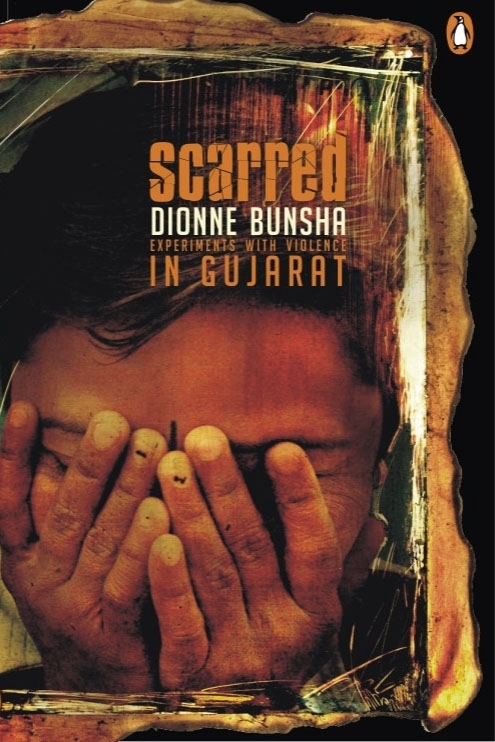 It faced tremendous opposition when it tried to introduce the seed in India in 1990. Now it is trying to enter the Indian market by tying up with an Indian company. But the Navbharat Seed company beat them to it, in some sense. For cotton farmers already burdened with increasing costs due to pest resistance to insecticides, Bt cotton may offer a quick fix solution. “This year, the crop was so bad that most people may abandon cotton cultivation next year. Costs have doubled in the last five years. At the same time, yields are falling. Even 12 or 15 sprayings of insecticide couldn’t save the crop. Over the years, the prices for our harvest have also fallen. It is no longer profitable to grow cotton. In Andhra Pradesh, indebted farmers have committed suicide. This new seed may be a good alternative for us. We have run out of options,” says Popatbhai Ramjibhai Patel from Sonarda Lath village in Gandhinagar. Currently, pesticides account for half the cotton production costs. Around 70 per cent of India’s pesticide consumption is on cotton. “Bt is no escape,” warns agriculture policy analyst Devinder Sharma, “it shifts the vicious cycle from pesticides and puts farmers onto another biological treadmill.” He points out that already pests have started developing resistance against Bt gene in China and Australia. “Fourth generation pesticides were greeted with the same welcome when they were introduced in the mid-‘80s. However, in a few years, insect resistance to the pesticide was widespread. In their desperation, many farmers swallowed the lethal pesticides and committed suicide,” says Sharma. To blame pest resistance alone for farmers’ suicides would be far too simplistic. Farmers’ indebtedness has increased due to economic policies, which have reduced the profitability of agriculture. Liberalisation policies have reduced subsidies, restricted rural credit and have opened the market to imports – direct onslaughts on farmers’ livelihoods. If such policies continue, mere technological fixes may not help. Even local seed distributors who stand to gain big bucks from the sale of Bt seeds are cautious. “The government should examine the effects of using these seeds and give farmers more information. They should not endanger the 200-odd cotton varieties sold in Gujarat today,” says Arunbhai Patel from Bhavnagar. While Bt cotton seeds require careful pest management practices, the current infrastructure in place does not provide an adequate base for modernisation of agriculture. Education, technical support, finance and equitable markets are needed, says Dr Geeta Bharathan, a scientist at the State University of New York, Stony Brook. In such a scenario, only a handful of rich farmers are likely to be able to reap the benefits of the new seeds. “MNCs have the patents for GM seeds. Once they gain control of the market, they will increase the prices drastically. Only rich farmers will be able to afford them,” says Dr Agarwal. A cheaper alternative exists. Although rarely spoken about because it doesn’t generate profits for large companies, organic farming has proven to yield the same results as hybrid seeds without the accompanying input costs. “The CICR bulletin states that organic methods are as effective as inorganic farming for dryland cotton, which constitutes 90 per cent of cotton production,” says Manohar Parchure from the Vidarbha Organic Farmers Association. While the government is still groping in the dark, stumbling in its efforts to regulate the use of GM seeds, the Navbharat seed scam has opened up a can of worms. It needs more than Bt to deal with them.